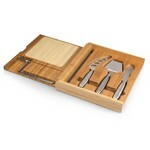 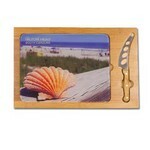 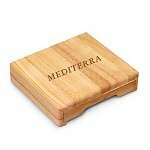 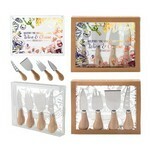 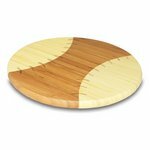 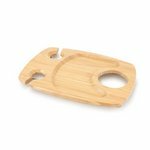 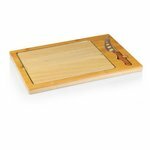 These custom cutting cheese boards are made from either bamboo or rubberwood for a very eco friendly choice. 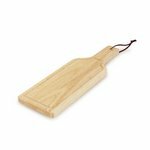 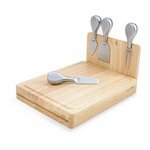 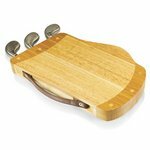 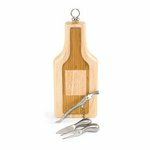 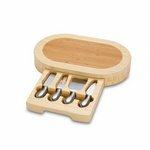 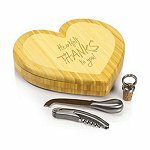 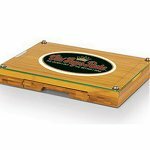 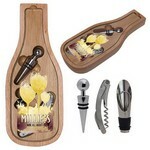 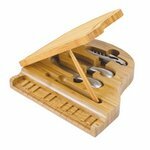 The cheese boards are very durable and most all of them come with either wood handles or metal cheese tools tucked away inside of the cheese board. 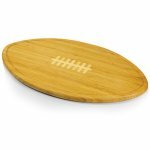 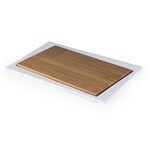 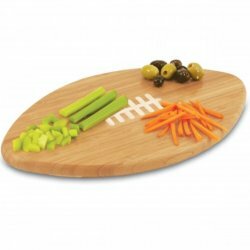 For the football enthusiast this eco-friendly bamboo board in a football design, has 123 square inches of cutting surface. 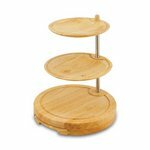 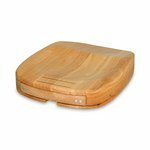 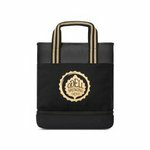 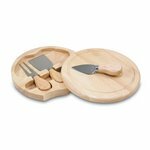 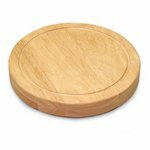 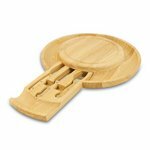 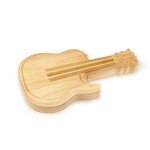 It can be used as a cutting board or serving tray, or use both sides of the board, one for cutting and the other for serving. 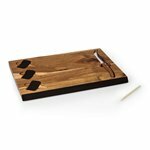 The backside of the board is solid dark bamboo. 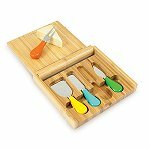 Many of these custom cutting board designs feature a place to not only cut your cheese, but also tray like features for crackers and veggies or nuts - so they can also double as serving trays. 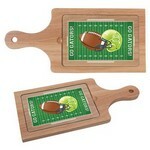 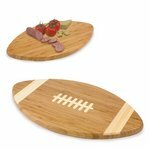 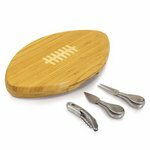 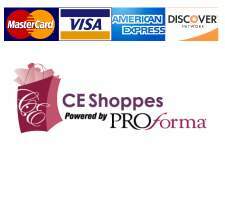 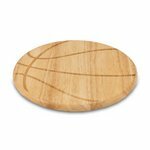 And if you are a sports fanatic, there is a line of personalized cutting boards with cheese tools that come in a range of sports themes like football, golf, soccer, baseball and more. 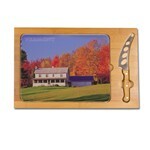 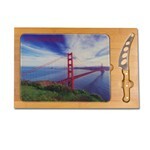 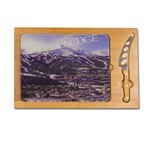 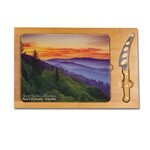 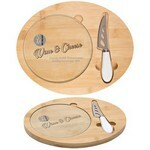 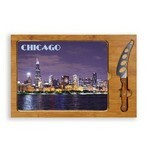 All custom cutting boards can be laser engraved with your company logo or message. 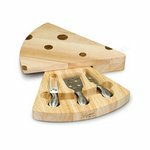 These custom cheese boards make a great gift for the hostess at a party, a great holiday gift, or for gifts at a wine tasting.